There are a handful of herbs that have gained almost a cult following in recent years. St. Johns wort, ginko biloba, and echinacea all come to mind. All three are even listed in the top most popular herbalsupplements, a list published by Johns Hopkins health library not to long ago. There are several different species of echinacea, but the two most commonly used medicinally are Echinacea purpurea and E. angustifolia. The common name, here in America, is Purple Coneflower. Echinacea grows well in disturbed soil, preferably rocky, in prairies, open fields, or by railroad tracks. The most commonly used parts of this plant are the roots and leaves, but the whole plant can be used medicinally. If you are specifically trying to use echinacea for it's Immunostimulant properties, it's best to make or find a double extraction tincture as the necessary constituents (natural chemicals) are extracted by both water and alcohol. Most online tutorials for double extraction tinctures involve mushrooms, but you can use echinacea in the recipes, instead of the mushrooms, and have no problems. Summary of actions- Immunostimulant, depurative, vulnerary, lymphatic, sialagogue, antiseptic, mildly antibiotic, bacteriostatic, anti-viral, anti-fungal, and anti-tumor. Traditional Chinese Medicine- Known in Chinese Medicine as Zi Zhu Hua, echinacea is seen as a blood cleanser that also stimulates, restores, and dissolves. It works on both the lung and spleen meridians. It's used to activate immunity, restrain infection, clear toxins, reduce inflammation, resolve tumors, relieve pain, promote tissue repair, cause sweating, release the exterior, scatter wind heat, dredge the kidneys, enliven the lymph, and restore the stomach. 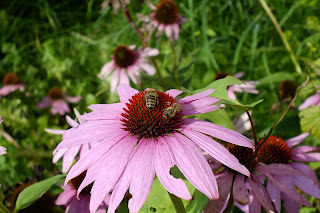 Immunostimulant- Echinacea has a great, and well earned, reputation as a preventative herb. Most of it's use as a supplement is for the prevention of colds and flu. Part of this is due to it's anti-viral and antibacterial properties, but mainly this is due to how well it stimulates the immune system. 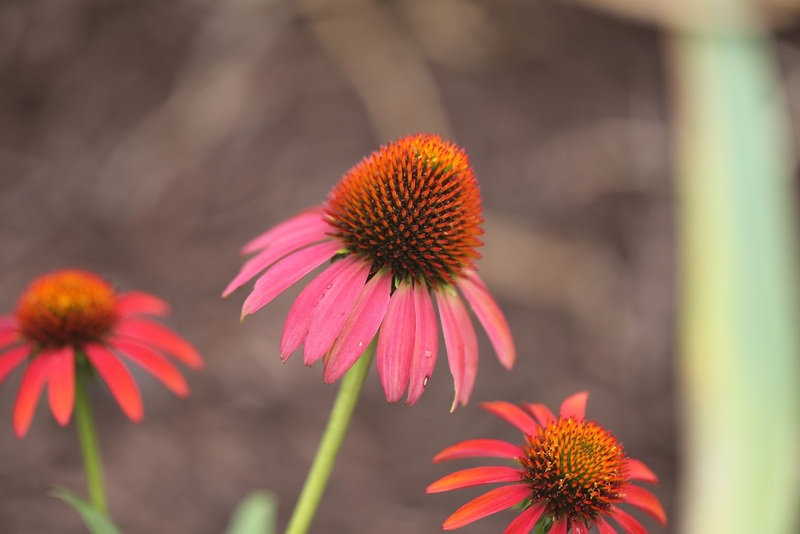 In fact, the University of Connecticut performed a study that determined that echinacea reduces chances of catching a cold or flu by over half. This same study also concluded that echinacea reduces the duration of the same infection by at least one full day. 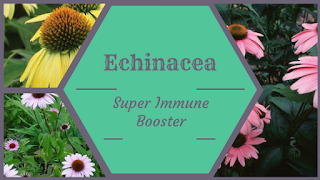 Echinacea does this, not by attacking the bacteria/viruses directly, but by enhancing our own immunity so that our immune system is better able to kill off bacteria, viruses, or even abnormal cells like cancer. Cancer- Not only does echinacea help our immune system fight off infections, it also stimulates our body's tumor necrosis factor, or TNF, which is important to fighting off cancer. Recent studies have stated that echinacea shows promise, along with several other natural remedies, in the fight against cancer. So much so that it is becoming fairly common for medical professionals to recommend echinacea alongside of conventional therapy. 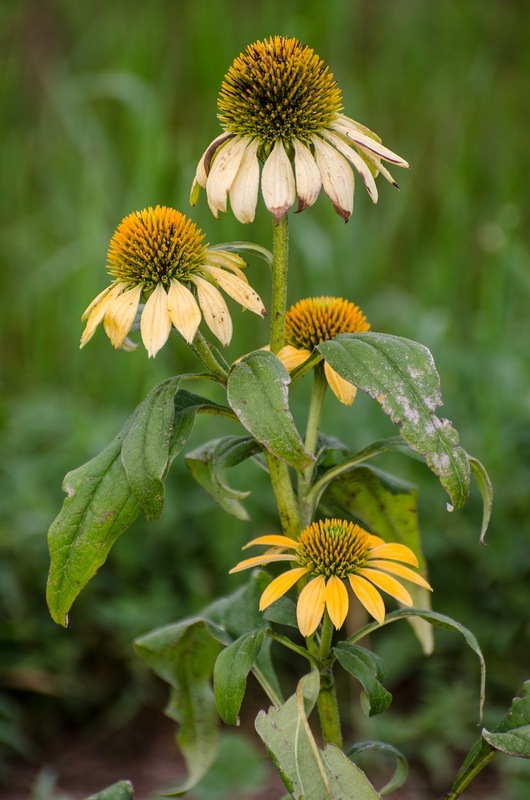 Painkiller- The Great Plains Indians of North America witnessed ill animals consistently searching out and eating the roots of echinacea plants. This lead to the use of echinacea in their native practices. Mainly, it was used as a painkiller for pain in the bowels, headaches, snake bites, sore throat, measles, toothache, tonsillitis, and stomach ache. It's also effective as a painkiller for herpes and gonorrhea. You can either drink a tea made from the plant, or rub the crushed and moistened plant onto the area where you are experiencing the pain. ADD/ADHD- Children and adults that suffer from ADD/ADHD are more prone to anxiety, depression, and social phobias. Echinacea has been shown to help relieve those symptoms. However dosage is key. If you take too strong of a dose, it could actually worsen those same symptoms, so use echinacea for your anxiety only under the supervision of a trusted doctor and/or herbalist. Cautions and Warnings- Since this herb is so stimulating to your immune system, if you take it consistently for a week you should take a break from it for the next week. If not, you could overwork your immune system and put yourself at risk for a more severe infection. If you have pollen allergies to any of the plants in the Asteraceae family, you may have allergic reactions to echinacea. Also, if you have an autoimmune condition, this herb could overstimulate your immune system and cause a flare-up. Please use only if absolutely necessary. The Mayo Clinic states that echinacea is safe to take during pregnancy or while breastfeeding, however most herbalists will not attest to this, use this herb with the utmost caution. I hope you enjoyed this post. If you have ever used echinacea or have any questions, please feel free to comment below.